Doing a stint behind bars in Buena Vista, Colo., probably wasn’t much fun in 1880 when the tiny town was just forming as a stopover for miners bound for the hills. Serving time in that same building today, however, means something totally different. In July 2016, Colorado beer-industry pro Sarah Haughey opened The Jailhouse Craft Beer Bar in the squat, 850-square-foot building that briefly served as the town jail 137 years ago. A historic jailhouse from the 1800s turned popular local hangout, The Jailhouse in Buena Vista is the place to grab a craft beer in Chaffee County. 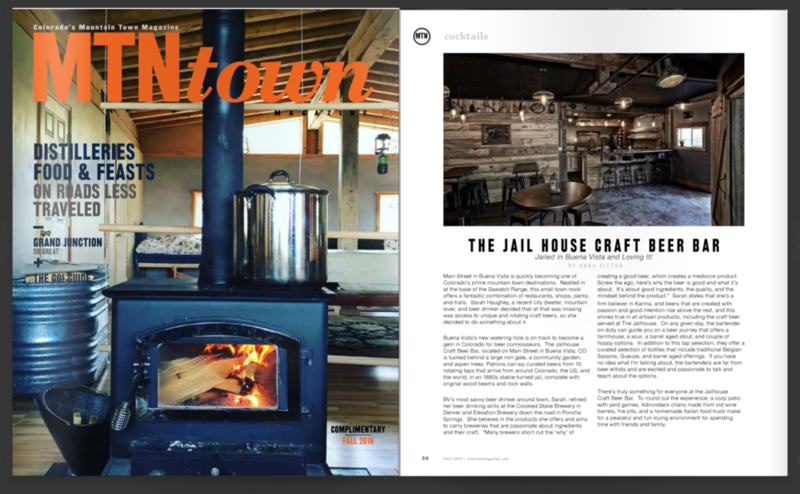 Checking out the beautiful jailhouse-inspired interior is worth the trip alone, but the 10 rotating drafts filled with some of the best beer in the country make this small town gem a must-visit this summer. Buena Vista’s new watering hole is on track to become a gem in Colorado for beer connoisseurs. The Jailhouse Craft Beer Bar, located on Main Street in Buena Vista, CO is tucked behind a large iron gate, a community garden, and aspen trees. Patrons can sip curated beers from 10 rotating taps that arrive from around Colorado, the US, and the world, in an 1880s stable-turned-jail, complete with original wood beams and rock walls. Edgar Allan Poe once said, “What care I how time advances? I am drinking ale today.” We agree with Edgar, and there may not be a better place to advance time than The Jailhouse Craft Beer Bar. The Jailhouse Craft Beer Bar, Buena Vista, CO: Open just a few weeks, the new 10-tap bar debuted with an impressive line-up of beers from Casey Brewing & Blending, Cannonball Creek, Comrade, Melvin, La Cumbre, Perennial, Almanac, Oakshire, and Victory, as well as a small can and bottle list and a few wines. The bar features an original stone wall and beams from when the building was a stable-turned-jail in the late 1800s (spooky! ), plus two shady patios, the back version of which hosts food trucks during the bar’s business hours. Colorado native Sarah Haughey, who worked at both Crooked Stave Artisan Beer Project and Elevation Beer Company, plans to deepen the Arkansas Valley's craft-beer scene this summer when she opens the Jailhouse on Buena Vista's main drag, East Main Street. It will feature ten rotating craft-beer taps and a small selection of cans and bottles, a limited wine list and a small-bites menu. The building itself is a former stable turned jail dating from the late 1800s. The 1,000-square-foot space will feature antique lighting, rustic wood, a custom-made bar and patio seating. Let the tourists have Buffalo Bill's grave and Bent's Fort: This Buena Vista haunt is a day-drinking local's dream portal to the Wild West. 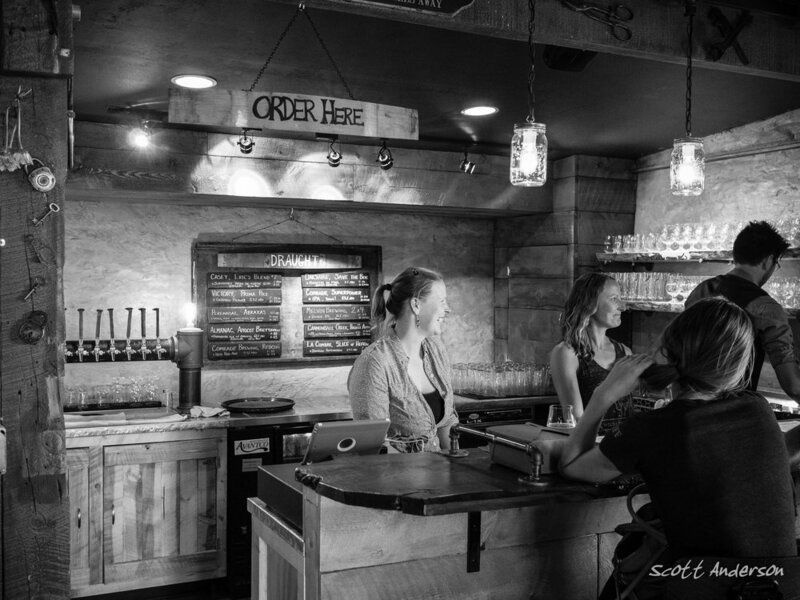 Sarah Haughey’s atmospheric beer bar occupies the town clink circa 1880 (hence the name), and every rock, plank, cell bar and railroad spike within brings its Gold Rush–era history to life. Her rotating lineup of brews, however — heavy on cult brands like Casey and Scratch — beats the heck out of prison hooch, while the tap takeovers, concerts and other events rock too. Craft beer and jail? It’s a match made in heaven. Plus, the combination of an exceptional beer list and history and decor put this spot over the top. You can make the grand opening of The Jailhouse if you're in Buena Vista on East Main Street by noon today. Just look for the large iron gate leading to a community garden filled with aspen trees and rose bushes. There you'll find the brand new craft beer bar owned by Colorado native and Denver industry veteran Sarah Haughey. The Jailhouse opens Thursday inside a landmark 19th Century stable-turned-jail in the town of 2,700. On July 14, Buena Vista’s former jailhouse will get a second chance. The Jailhouse Craft Beer Bar, located on Main Street, has transformed a 19th-century stable-turned-jail into a 1,000 square-foot modern beer bar. Watch out, Buena Vista. 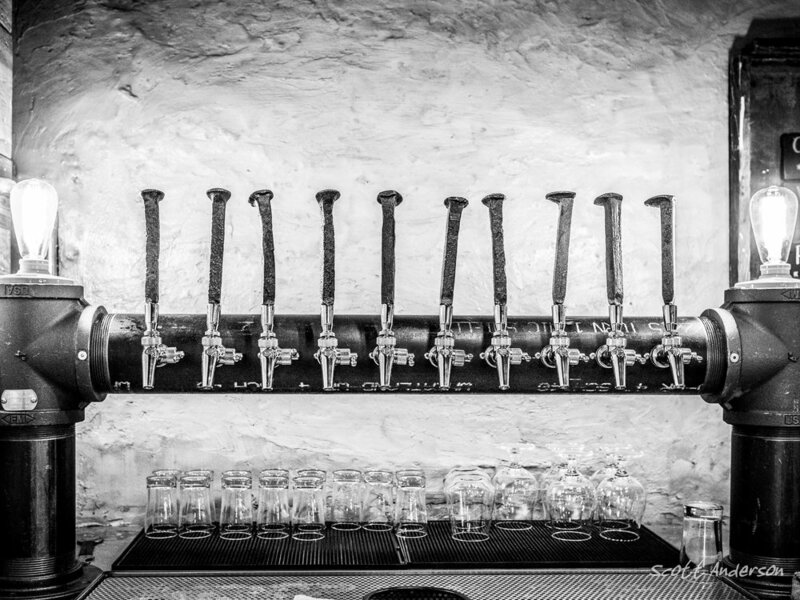 You are about to get your first-ever craft beer bar. Get excited. Opening this summer, The Jailhouse will be located in the picturesque Colorado mountain town on East Main Street. Sarah Haughey, a native Coloradan, spearheads the project.